Forgot Password? Not Registered? Join Now! The debut cookery book writer discusses her novelistic recipe collection and making the kitchen more accessible. Ella Risbridger is many, many hours into waiting for her plumber to arrive. “I live in hope,” she says wryly over the phone. Oh @missellabell. She had written a wonderful book about how coking helped her to cope with anxiety and depression (something quite a lot of people can relate to). It is terrific writing, and a reminder that cooking isn’t just about making something to eat. Midnight Chicken is not your usual cookbook. For starters, glossy food photography has been sacked off for bright, wobbly illustrations by Elisa Cunningham. The pages are strewn with drawings of creamy garlic cloves in their pink paper skins; knobbly, zingy green gherkins; and even a pheasant hopping away from Risbridger’s Danny The Champion Of The Pie recipe. The recipes themselves are less instructions for dinner, and more stories and moments, captured in a perfect “high and light and solid” cheese scone, or a blackberry pizza that is “a little bit sexier than nearly every pizza in the world”. There are musings on fog and the necessity for pea soup, what to make if your anxiety has had you stuck in a bookshop for 40 minutes (salmon with sticky rice), and how to chill homemade hummus (“For as long as you can bear it”). It’s also a book of love. Risbridger’s partner, journalist John Underwood, and the ‘Tall Man’ found in her writings, who she credits with teaching her how to cook, died in 2018. And while Midnight Chicken revels in food, it also shifts with, and navigates the demands of Risbridger’s anxiety disorder. Cooking became a lifeline and a way to manage, she explains in the book, and that eponymous roast chicken recipe (ginger, she reckons, is its secret elixir) was the beginning. Writing it all down, first in her blog, Eating With My Fingers, and then in book form was simply “natural”. “What I try to achieve with everything that I write about mental illness is to say, ‘OK, how can we live with this? How can we make a life worth living when things are really hard, when things feel really difficult, how can you find the good?” says Risbridger. “How can you find something to hang onto when you’re in that dark place? “What I wanted to do most was to help,” she says of the driving force of the book. She wanted it to be useful, to make the kitchen accessible and “to make it clear that having anxiety or depression or any kind of mental illness, is a part of life”. For Risbridger, her mental health issues made “everything feel very chaotic”, and cooking presented a “puzzle” that “fitted very perfectly into what I needed it to be. It combines this creative impulse, which I love, with this sense of inevitability: If you put these two things together, you’ll get this result. “There’s a precision to it, a creativity, and, at the end of it, you’ve got something to eat – you’ve done something practical, you’ve taken a real step to help yourself. “There’s something really soothing about that,” she adds. “Cooking’s great. It’s essential for me, and everyone’s got to do it at some point, you might as well try and have fun with it – but it is just food,” Risbridger says matter-of-factly. While there are melancholic moments (Risbridger touches on a suicide attempt and difficult family relationships in the book), mostly it’s about the things she loves, like dumplings (“I would live on soup dumplings”) and mini pasta shapes (“They’re so adorable. To have a soup with tiny, tiny stars in just makes everything feel better”), and the hot-pink ribbon it has for keeping your place (“Isn’t it great?!”). But what comes across most, on practically every page, is how much she delights in cooking for others. “I love having people for dinner,” Risbridger buzzes. “[I’ll say] ‘What do you want to eat? Come here and I’ll make it for you’ – I love that, it’s like giving people a birthday present, all the time. Risbridger calls Midnight Chicken “a very accurate picture of my life five years ago, a lot has changed in my life since then”. And so when asked what happens next, she replies: “I need to work out where I’m going, what I’m doing. But for now, there’s joy to be found here. Platefuls of it. 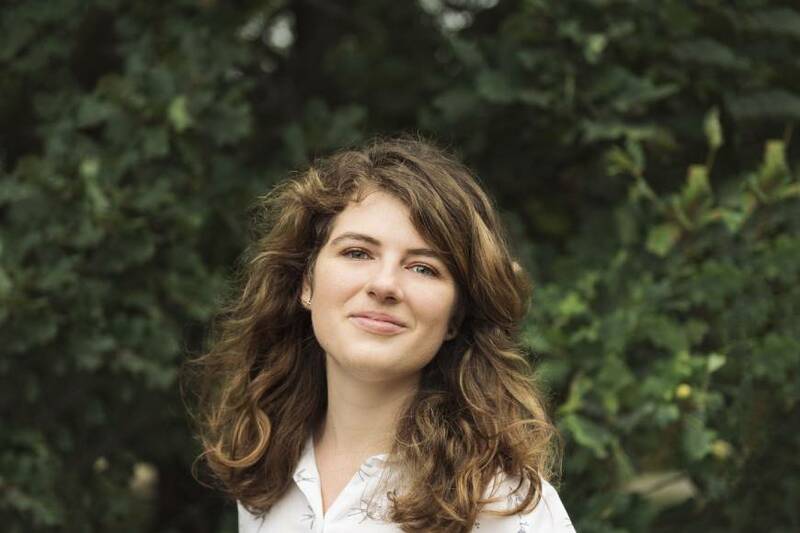 Midnight Chicken by Ella Risbridger is published by Bloomsbury. Available online now. Review: Best Asian Street Food in Dubai at 24th St.
Is This Where to Find the Best Cup of Coffee in Dubai? © ExpatWomanFood.com. All rights reserved.